Breakfast is the most important meal of the day, why not make it interesting? 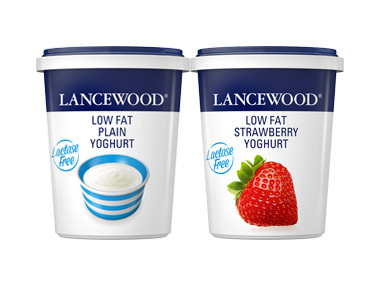 Try our delicious range of gelatine and gluten-free yoghurt available in Double Cream, Lactose Free & Low Fat or shake things up with LANCEWOOD® Full Cream Yoghurt Shakes when you’re on the go. 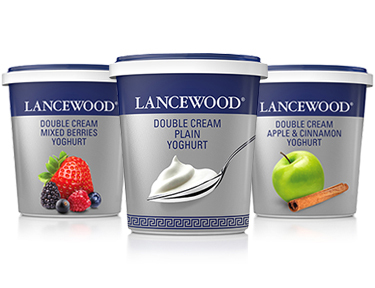 Made from real yoghurt and real ingredients, you’ll be tempted to eat it all straight from the tub! 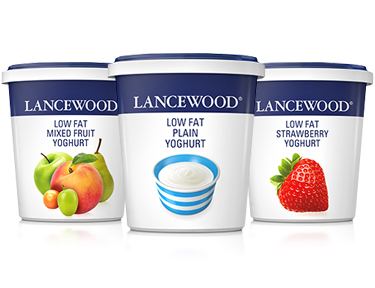 Be part of the LANCEWOOD® family to receive our recipes and be the first to know about our new products and competitions. Setup your profile to create your own inspiring recipe book and always have your favourite LANCEWOOD® recipes at your fingertips. Facebook Sign In Forgot your password?